It’s interesting to consider how much fashion has evolved over thousands of years. Once, humans decorated themselves for many of the same reasons that animals adapt their own unique looks: to camouflage, frighten or distract predators, attract mates, and display status or dominance. While a few of these reasons for dressing people remain true on some level, we mostly choose our looks based on personal preference, trends and what’s available. Nature’s survival of the fittest wardrobes are still going strong, and some of the most interesting and useful decorations are found in the world of insects. 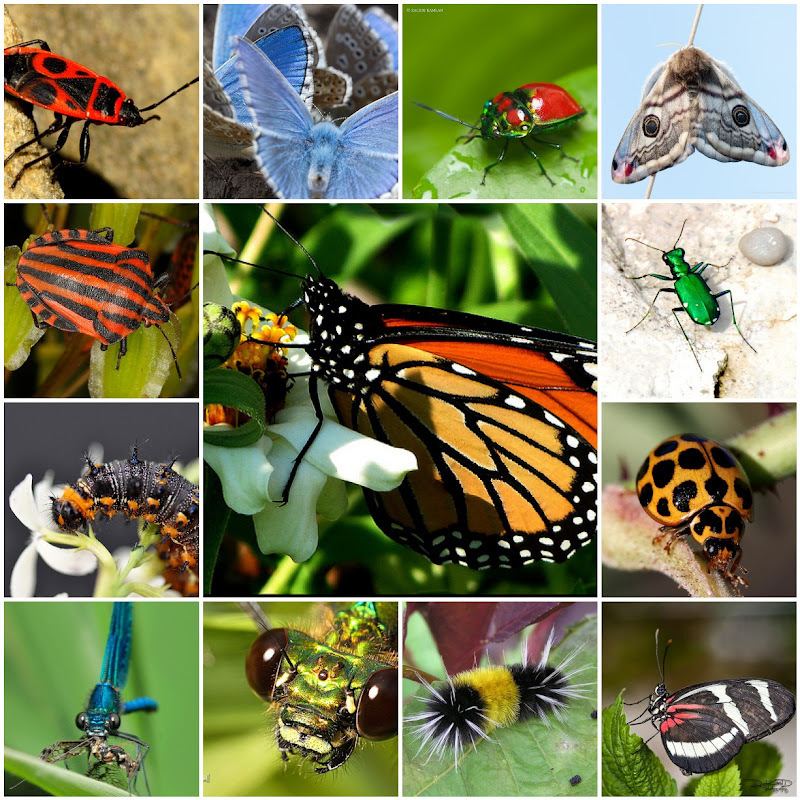 Even if a bug or critter isn’t obviously beautiful, it can still provide unique inspirations for color, shape and texture. Wings and carapaces offer some of the most beautiful color and pattern ideas, and exotic spiders have some enchanting markings as well. There were so many gorgeous butterfly inspired sets to choose from, so I gathered them up into a collection. See more of my favorite butterfly collages. 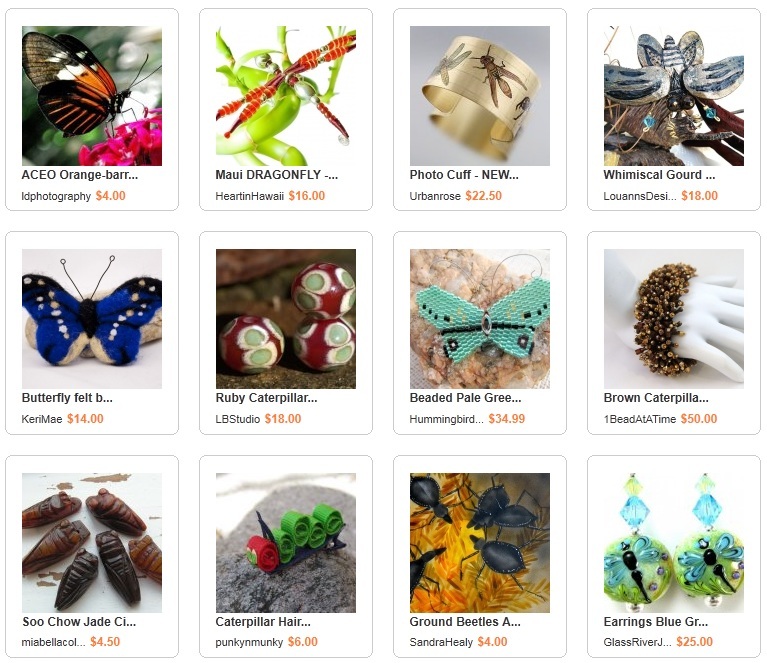 See more fabulous insect deviations. Do you have a favorite insect inspiration? What kinds of bugs do you like to use in your work? Very interesting and inspiring. Have to think about it and I'll let you know. The colors in nature- birds or bees ARE amazing. I do like bumbles although I haven't yet made one work in a design yet.